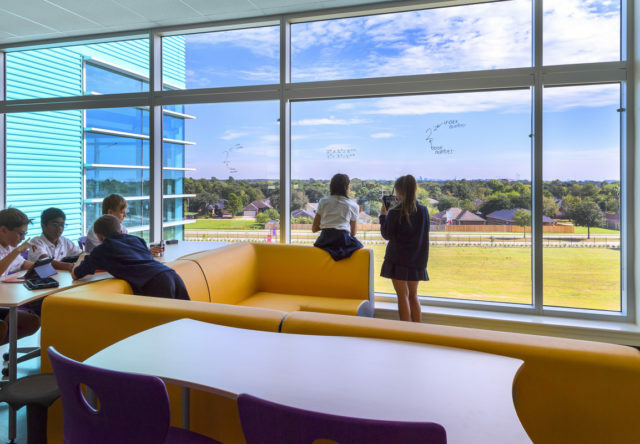 The new British International School of Houston develops students’ critical thinking skills within a renowned International Baccalaureate program. 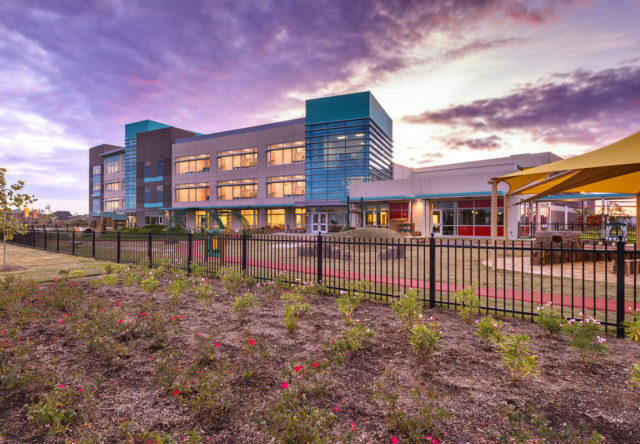 British International School of Houston is Nord Anglia Education’s largest PK-12 school to date. 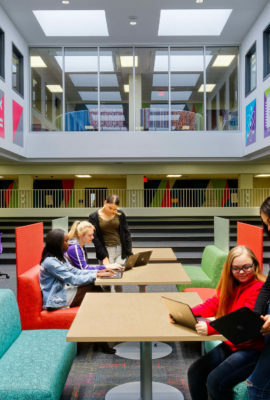 Within the larger campus, the design creates a variety of personalized learning spaces where students collaborate, learn from each other and solve real world problems. 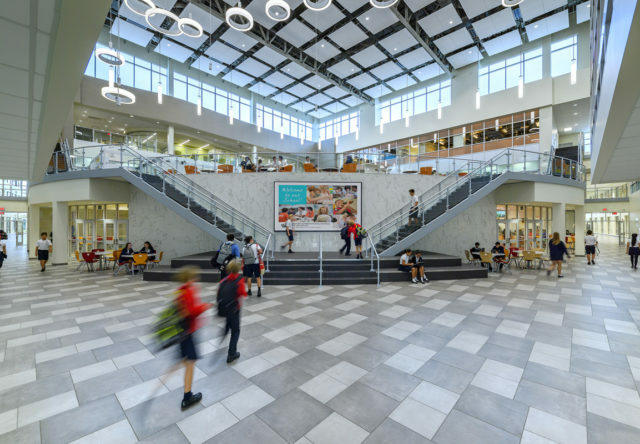 A central Agora, state-of-the-art auditorium, specialized classrooms, makerspaces and science labs support Nord Anglia’s collaboration with organizations such as MIT and The Julliard School to deliver exceptional education. Designed as Fanning Howey + House Partners, a joint venture. 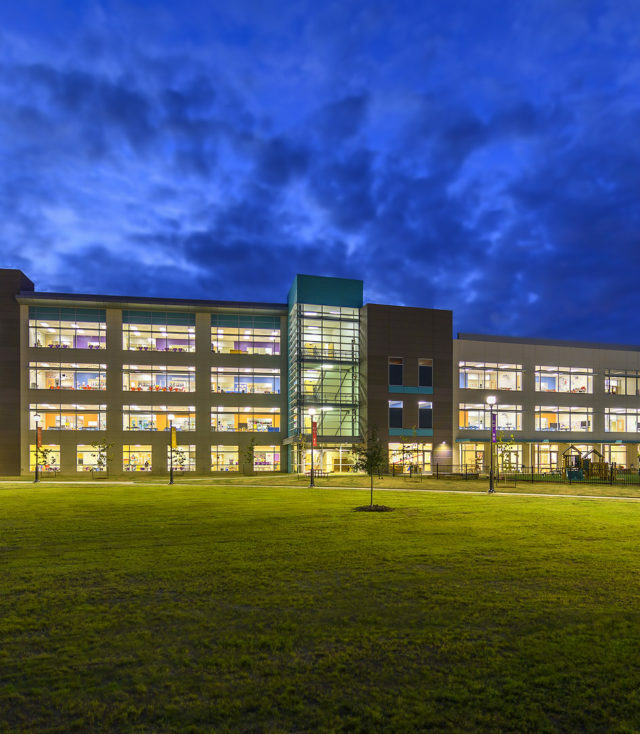 Create a flagship North American campus for one of the world's premium educational organizations. 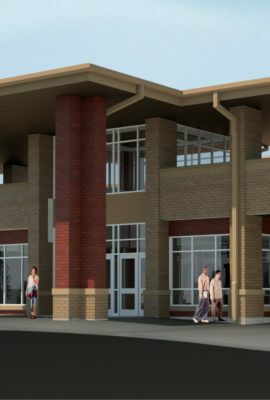 Deliver a $58 million building on a fast-track schedule using a Developer-led concept. 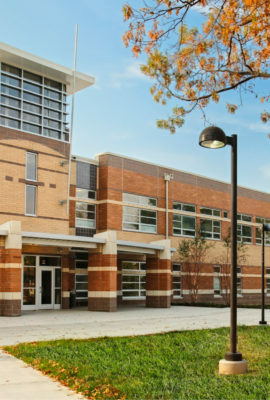 Students and visitors walking through the school’s front doors are greeted with a view of all the building has to offer. 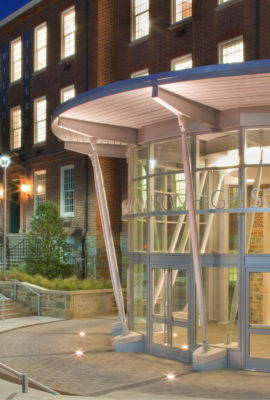 The beating heart of the school is a four-story atrium with a second-story Agora. 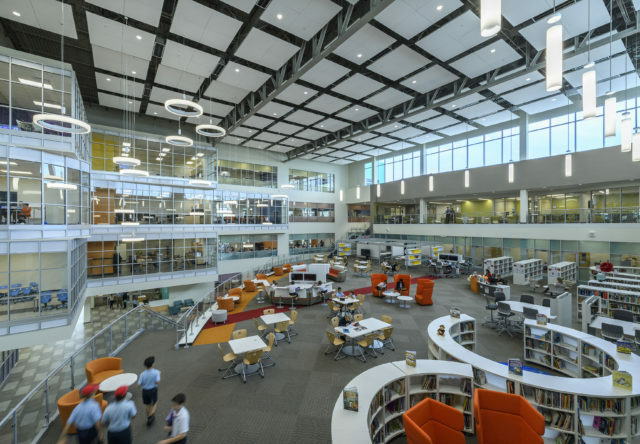 Part library and part living room, this is both architecturally and philosophically the hub of the school. 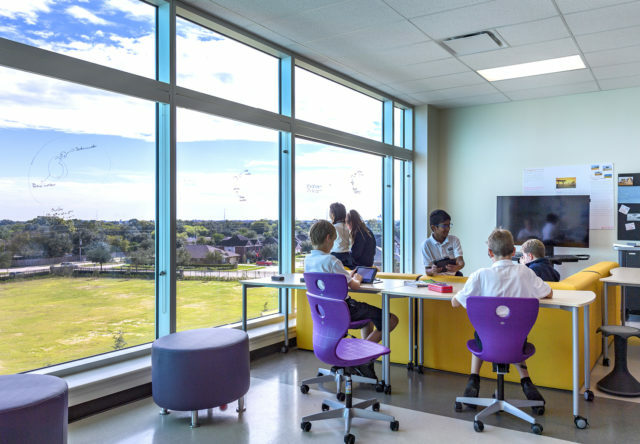 Dramatic vantage points in the Agora provide views to nearly every part of the learning environment. 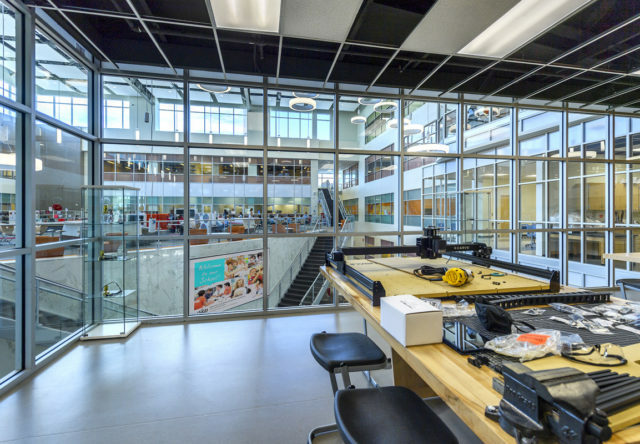 In the makerspaces, personalized learning is always on display, thanks to dramatic glass walls. 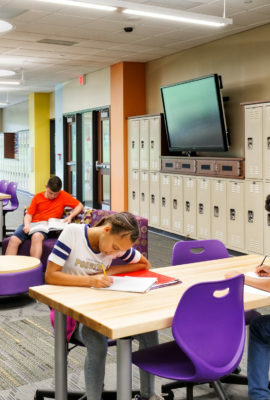 The International Baccalaureate Center provides a transitional space just off the main atrium for students who are exploring the next stages of their educational journey. Science labs support everything from instruction to lab work to coding. 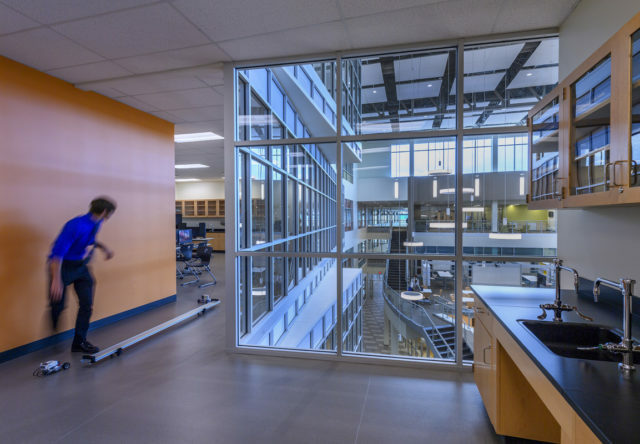 Views into the atrium allow students to be inspired by the learning activities of their classmates. 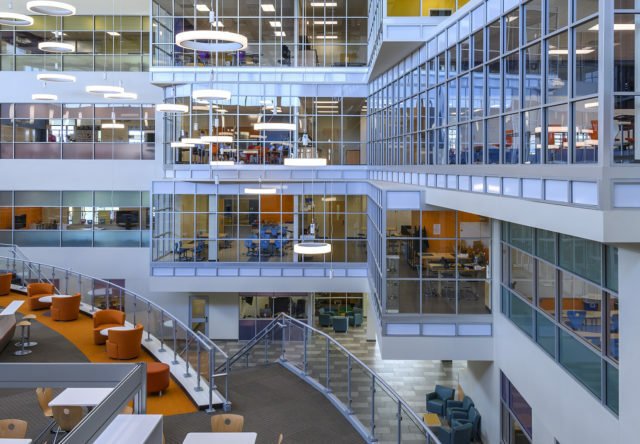 Learning neighborhoods mirror the arrangement of the central atrium. 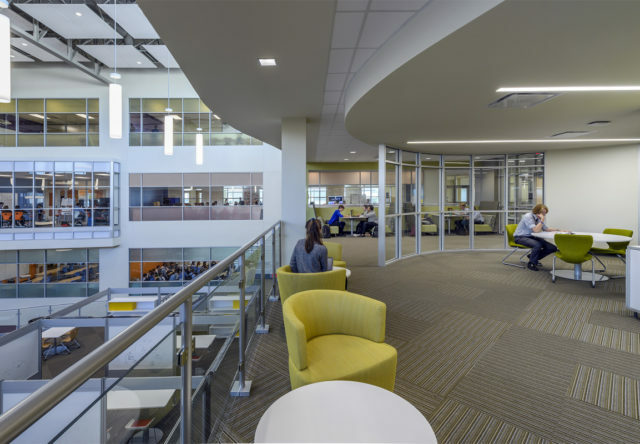 A central collaboration space is flanked by multiple classrooms, allowing students to flow from one activity to another. 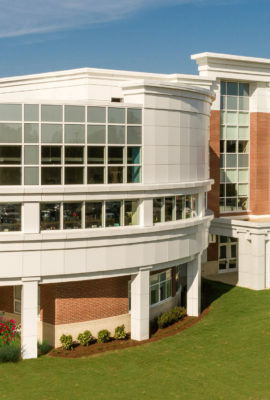 Fifty percent of all wall surfaces have glazing, even in the academic neighborhoods. 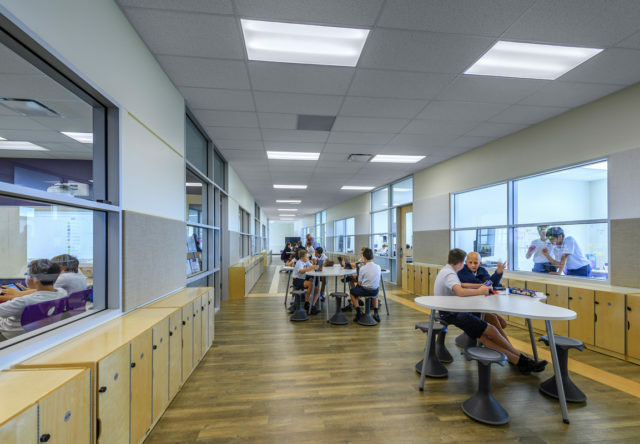 The design strategy enhances transparency and connects students with each other and the surrounding community. There is no front of the room in classrooms. 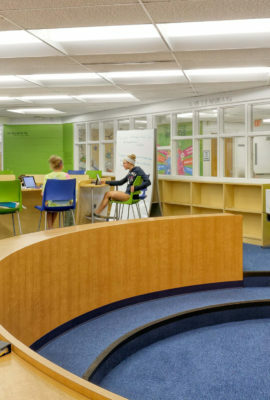 Mobile furniture and screens allows students to shape their environment hour-by-hour. 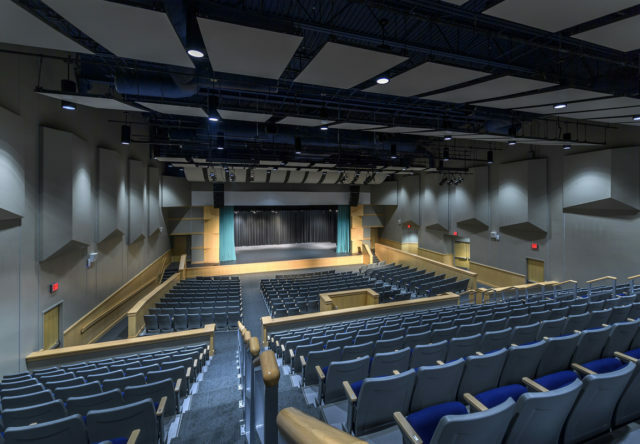 A state-of-the-art, 500-seat auditorium supports the school’s partnership with The Julliard School, the world-renowned performing arts conservatory. 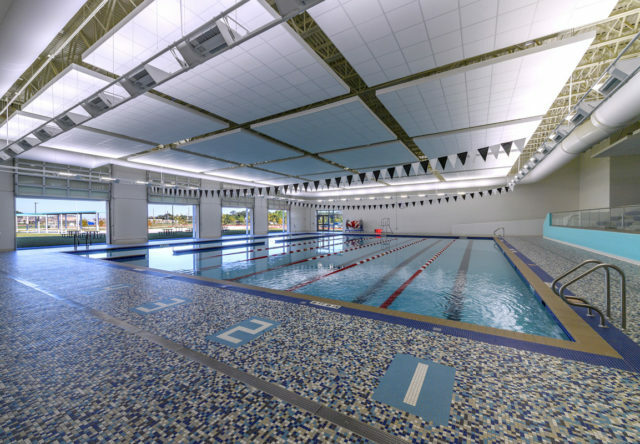 The six-lane aquatics center includes operable doors to connect to outdoor seating areas. 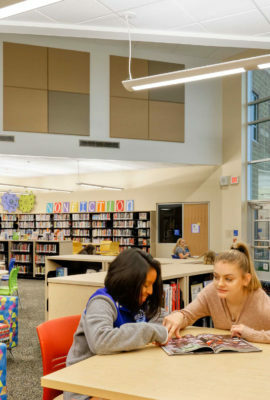 With its connective learning environments and global partnerships, British International School of Houston is preparing students to succeed on the world stage. 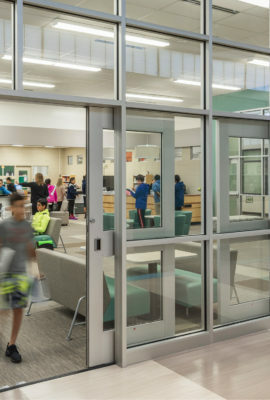 In line with our strategic goals, our brand new, state of the art campus is built completely around the very individual and personalized needs of our learners, it is the most pedagogically advanced school building in the world.